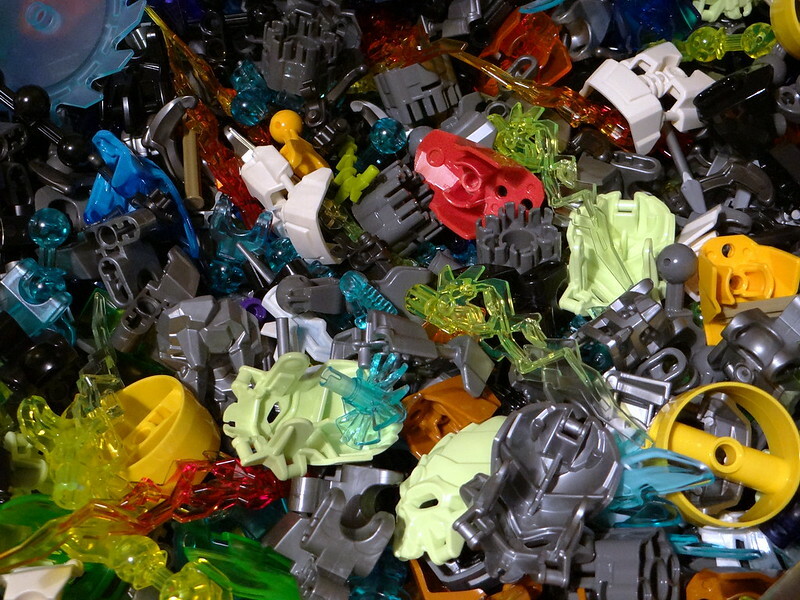 From the beginning of December 2014 LEGO gave me an opportunity to play with new Bionicle 2015 pieces. 50 Kilos. 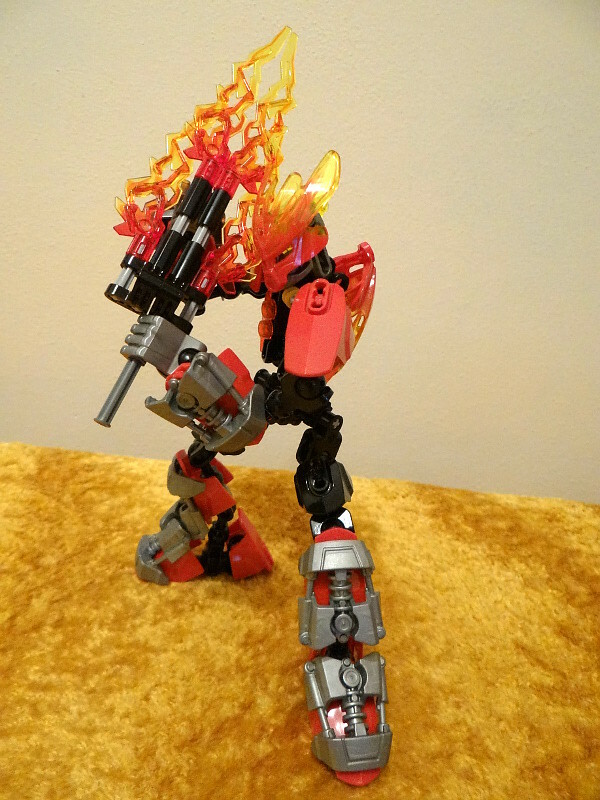 In return I had to build some MOCs and sent them my photos. LEGO gave me 2 weeks of pleasure. 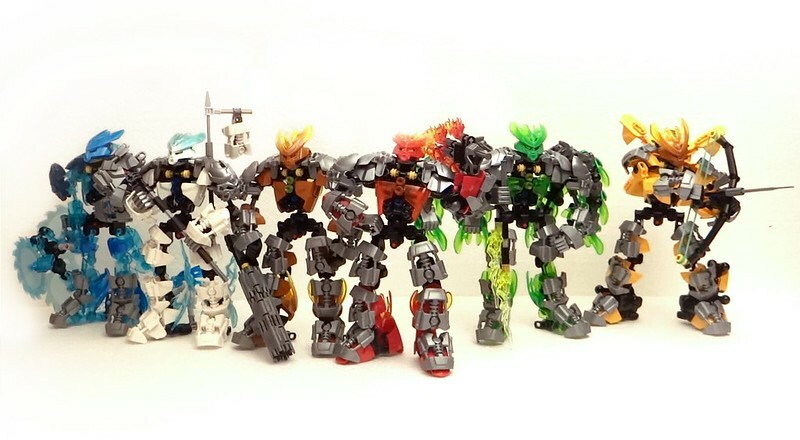 After that time I had to sent them back all Bionicle 2015 pieces and all MOCs I created with them. They said they would like to use them for Public Relations purposes. 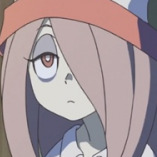 But they also said I can use photos in my gallery/forum etc. ... don't forget to turn captions on! I also give some links related to topic on my blog. 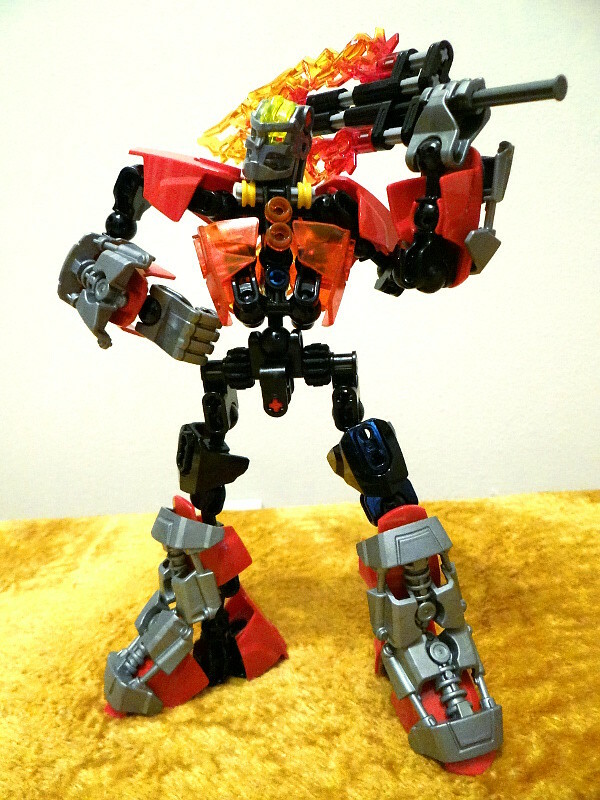 I'm sorry I didn't translate it into English but I think it my be more practical to show MOCs' photos in that way. I don't think that the text is interesting - on flickR/DA should be all of my story in English. A topic on my blog (some extra photos). A topic on my blog. Wow, that's amazing! I especially like the Rahi-type creatures you made. Definitely a great example of the potential CCBS holds. 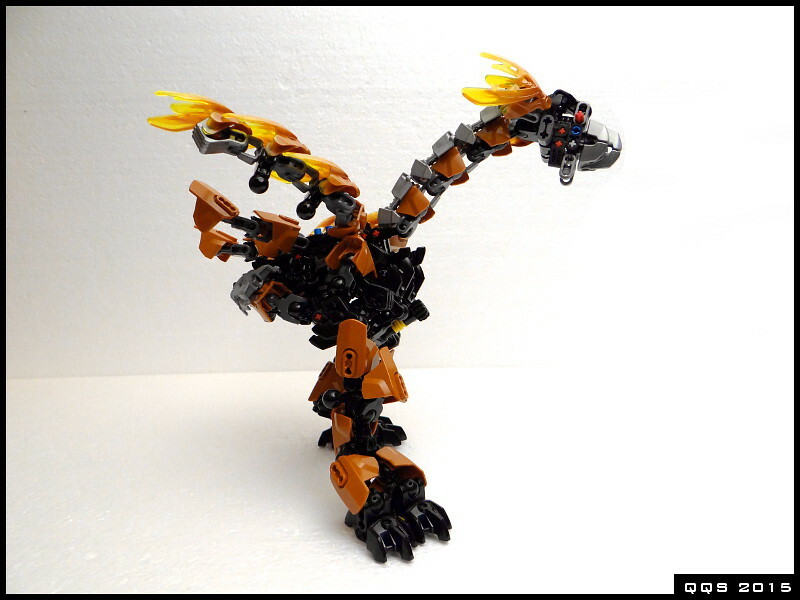 I wish I had the talent and parts to do these kind of MOCs. How did you find the opportunity to do this? Fantastic work, That turtle is hypnotic to look at! Its really awsome seeing stuff like this, it shows off really well how high end builds can be made out of CCBS and I hope your build encourage LEGO and other people that CCBS is acctually an interisting system to use. 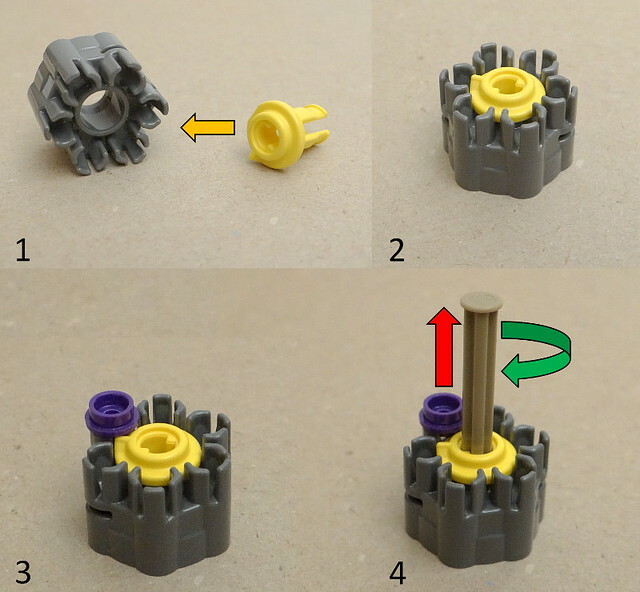 Question QQS; Whilest you have had this opportunity, what are your thoughts on the parts you have had to build? 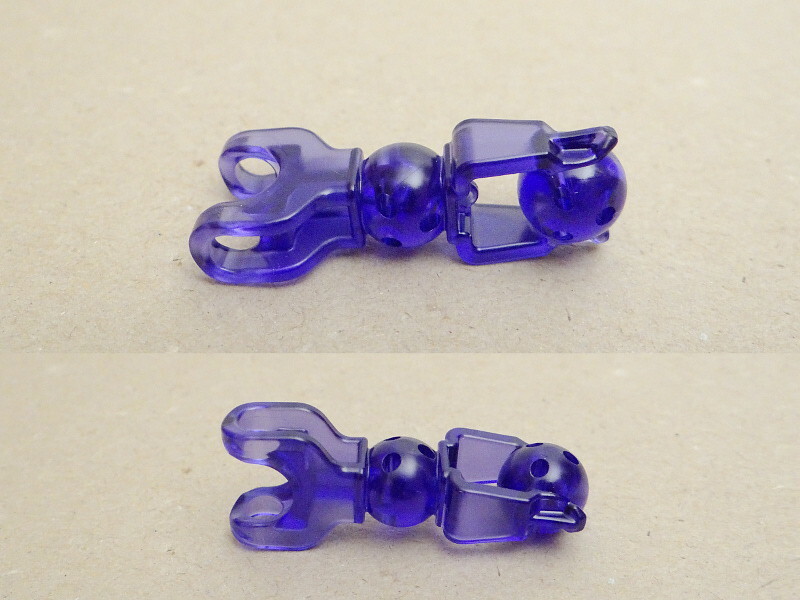 Was it a chore to build some models or were you winishing that you had some type of bone piece that doesnt exist? Wow! Those are slick! Loving the uniformity among the 'Hero' figures. They look like such a well-put-together team. 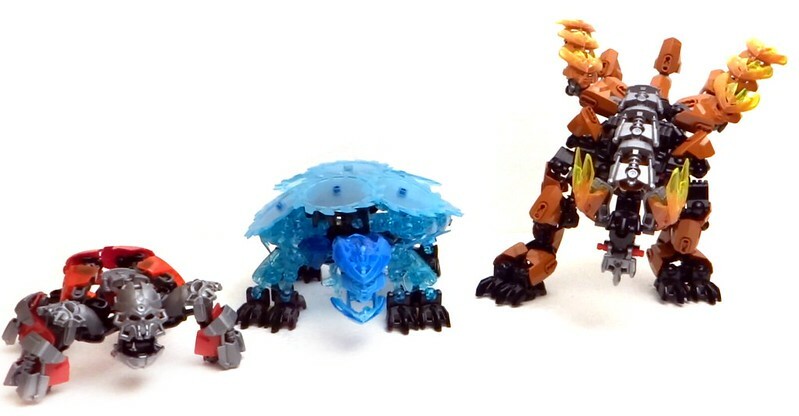 And the beasts are equally cool. 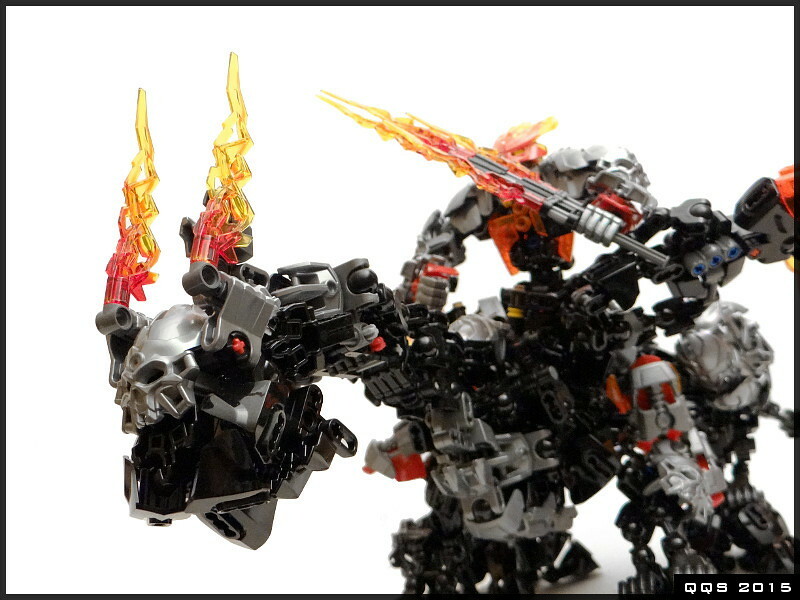 The dragon is magnificent and the usage of the Skull Spider Masks and the Gatling gun is ingenious. I could go on, but then my post would get too long for my liking. 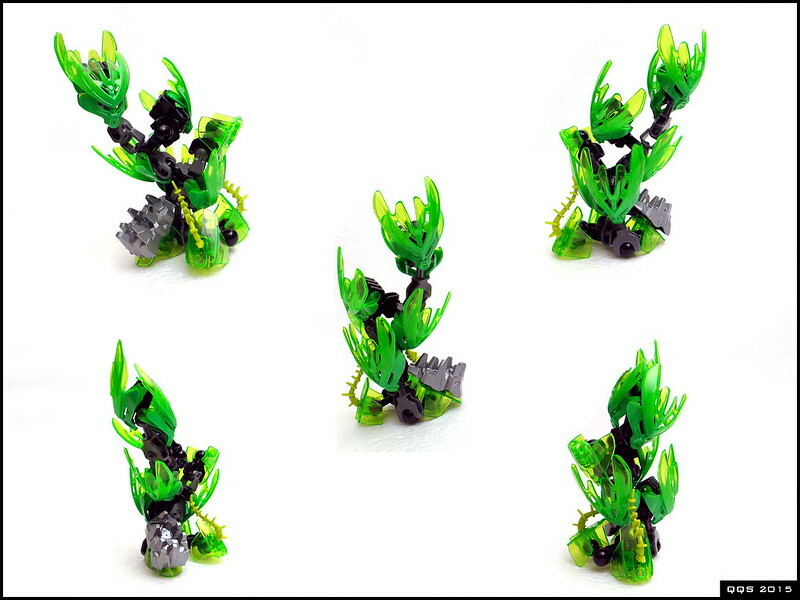 As EZNetwork said, these MoCs really show the potential of CCBS. 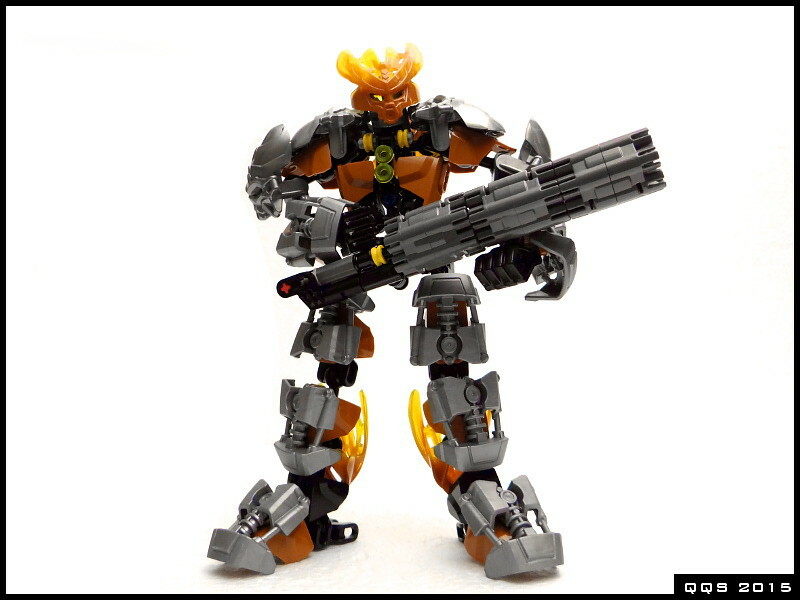 A potential I really hope Lego exploits in the future. I really should get to MoCing with the new pieces. These have greatly inspired me. 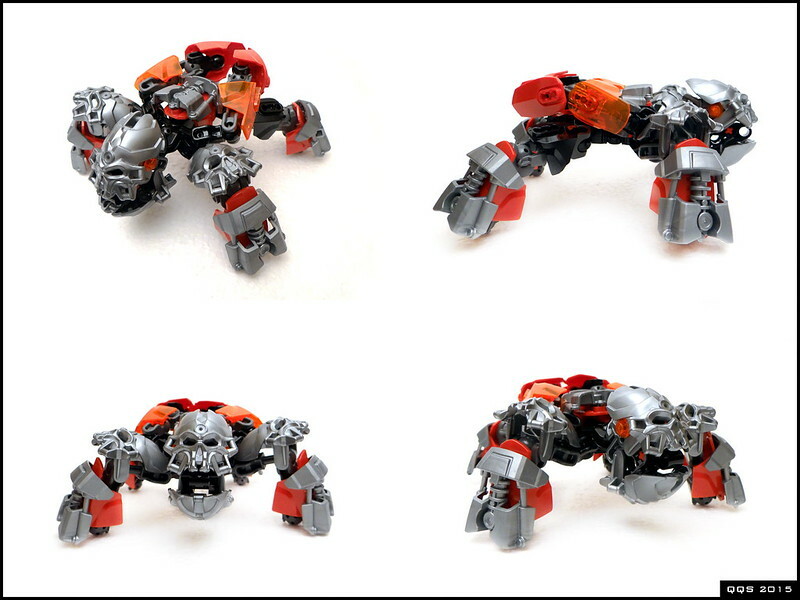 Well, LEGO asked our LUG (Lugpol) if there is anyone who could make some creations from new Bionicle parts so I decided to try. It was my first time cooperating with LEGO which I shall remember well. Many thanks for 3dom - a person who informerd me about this opportunity and help me with communication. Only thing I can complain is that ... all of those parts came from Protectors sets only! 50 kilos and there weren't parts from any big hero. 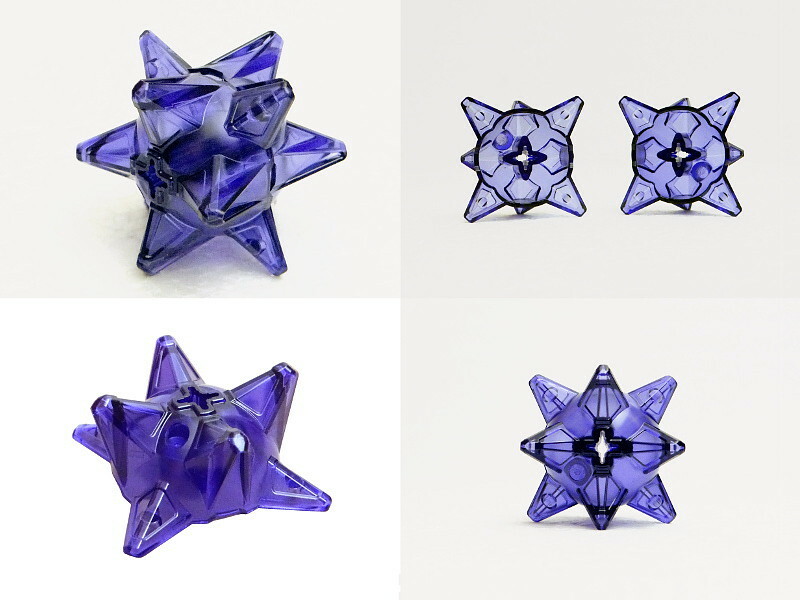 In most cases those pieces were sufficient. But sometimes not - e.g. there could be more basic connectors. Also few times I needed this bigger skieleton piece. 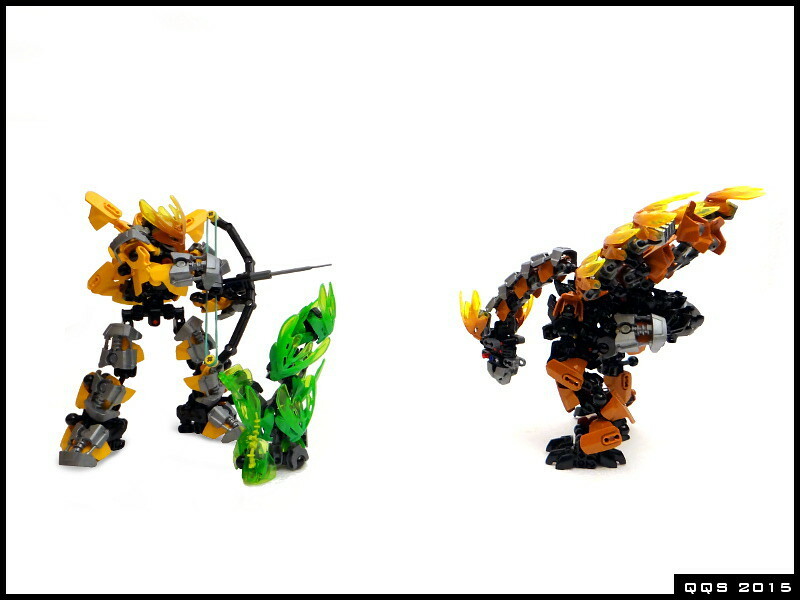 I could go on, but then my post would get too long for my liking..
As EZNetwork said, these MoCs really show the potential of CCBS. 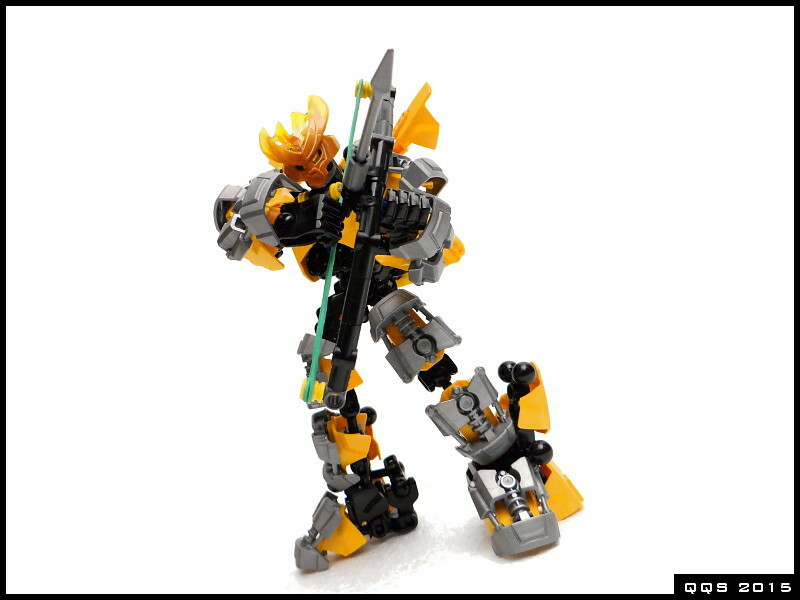 A potential I really hope Lego exploits in the future. 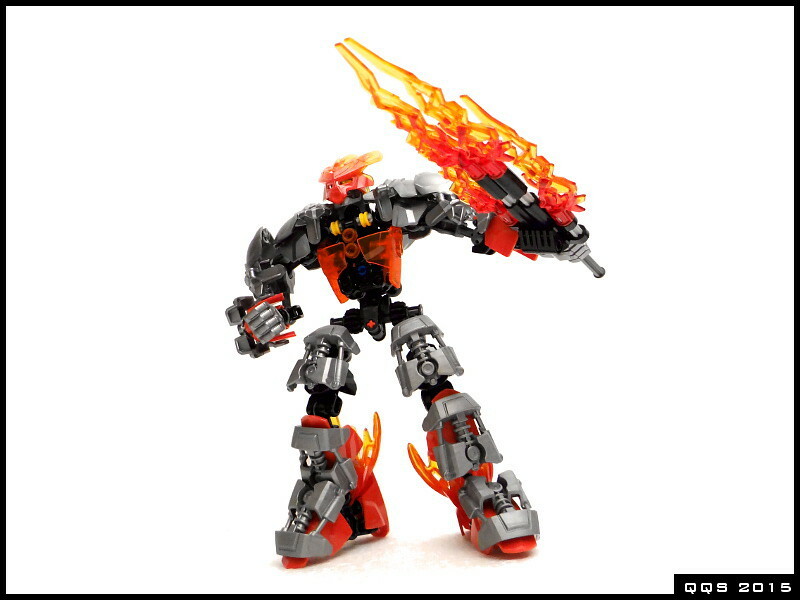 Lego already has great designers, but unfortunately final sets are often less complicated than prototypes. E.g. 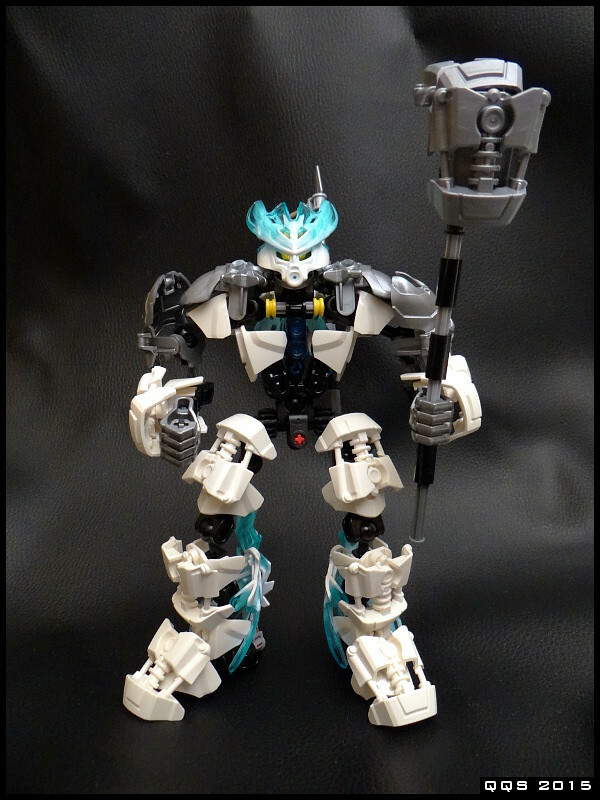 I saw prototype of Atlantis mecha and final set - difference is enormous! 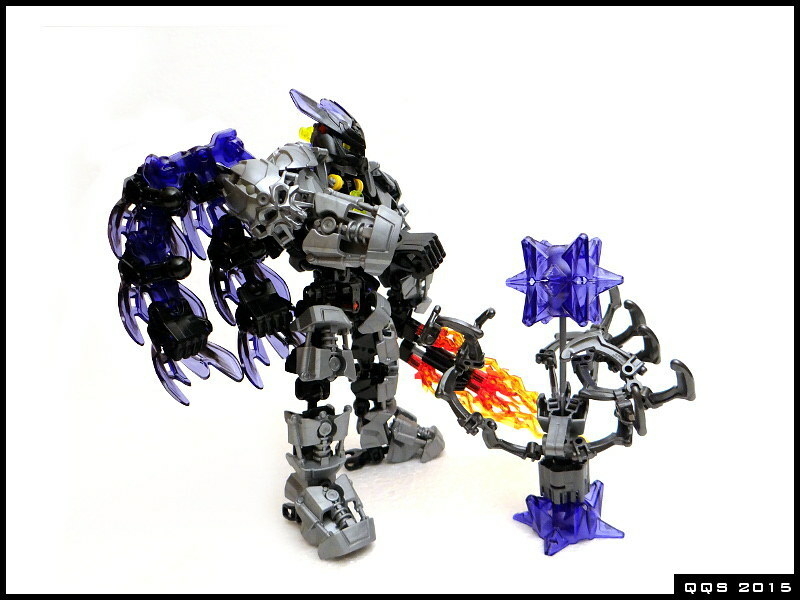 Truly amazing MOCs! I adore the way that you use the Protector and Skull Spider masks as layered armor. 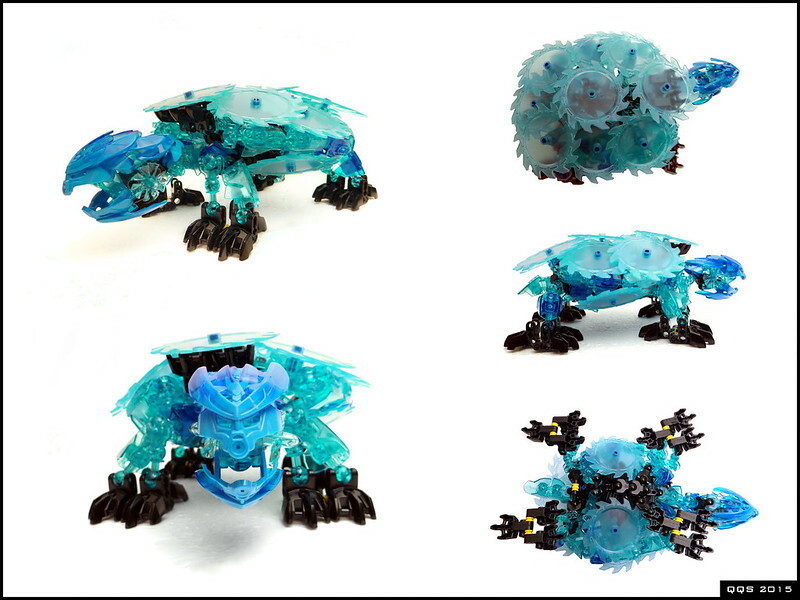 I hope that Lego will be displaying these proudly. 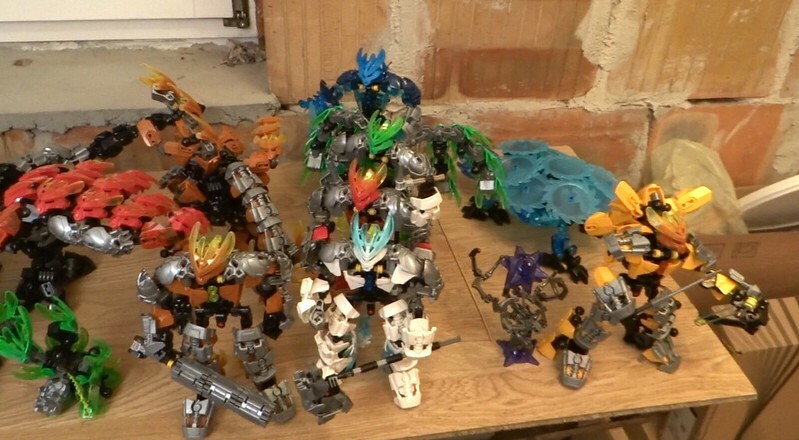 These would be great as display models for the 'Build a Bionicle' exhibit at Legoland supposedly replacing the Hero Factory one in the spring, but I looked and it seems that is only at the California and Florida locations. I haven't only two words to say something no say about that: IT'S AWSOME!!!! Your MOCs are amazing. Can you post group photo of them? 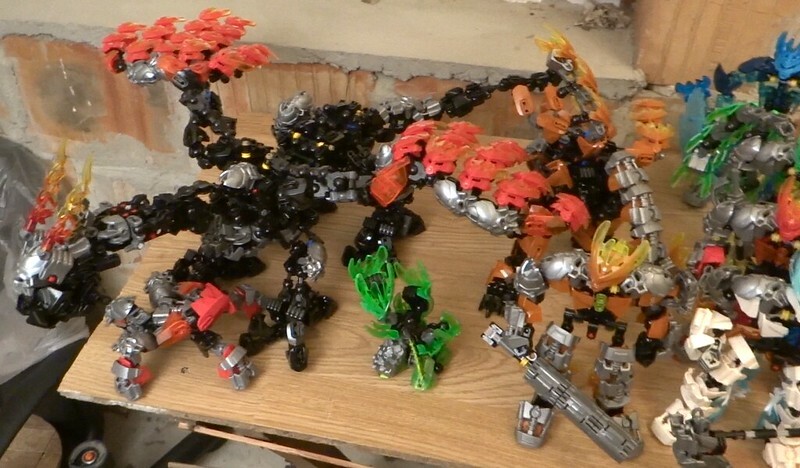 That's interesting because LEGO told me they want to use those parts to some event for children and that was the reason I had only two weeks for this project. That's all I know. Are they going to do something similar in Europe? Hope so. Unfortunatelly I didn't take any group photo, but I made some records from which I exported some images. Quality is not very high but I think that's better than nothing. I'm drooling over that pile of parts. 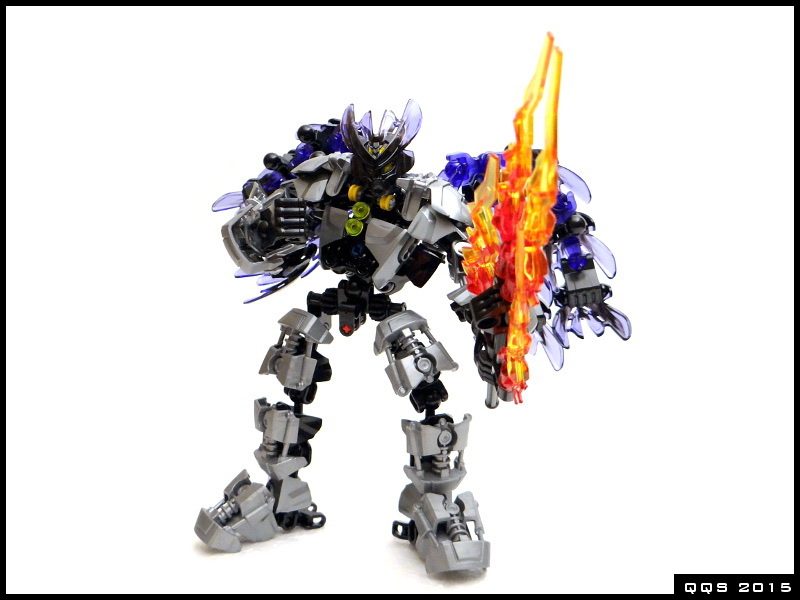 I should get extra figures/parts just for MoCing. Is it just the lighting, or do the Stone masks you got have trans-yellow instead of trans-neon-green? 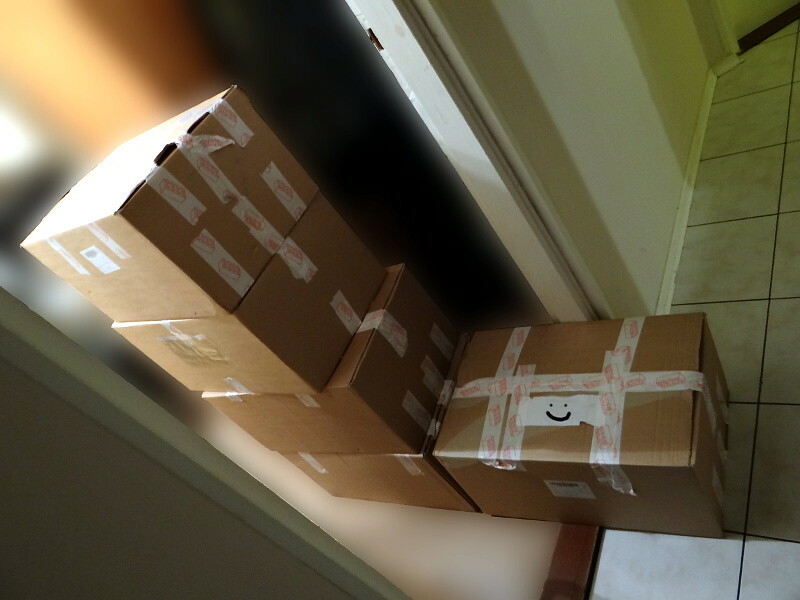 Yes, it was quite a lot of stuff but unfortunately - only Protectors' parts. There weren't any of Toas :< These could be pretty useful for MOCing and inventing new techniques! Man oh man 7, 9B, and 10 (I can't wait for official mounted figures to return) are almost my favorites. My favorite is that mask coral! You mean dragon's shield? It's very easy to do. 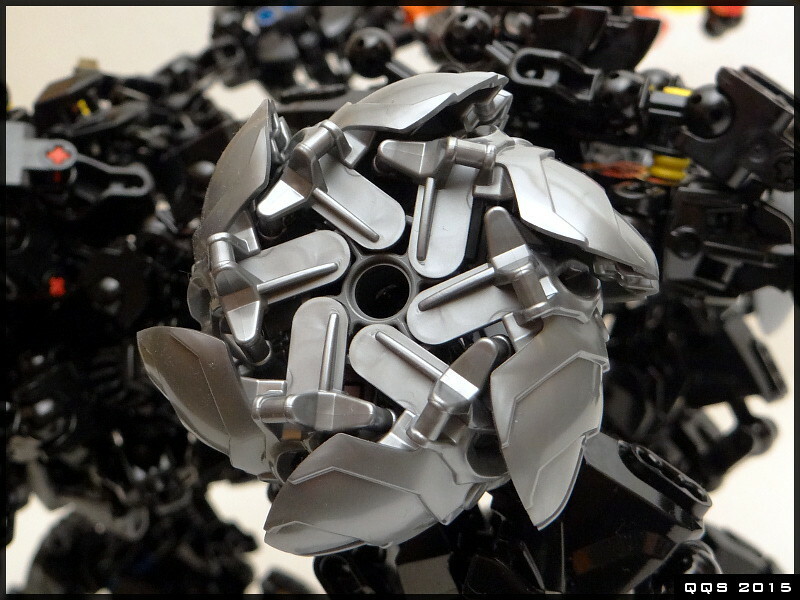 As a matter of fact I tried to build a car with wheels made of this shield but unfortunately Lego didn't give me more time to do it. 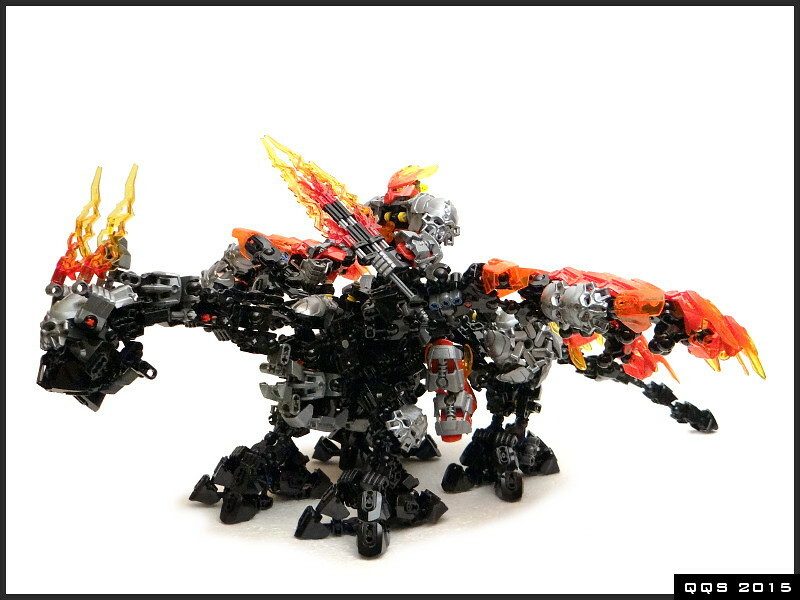 At first I was wondering what could be better - giant dragon or fenix? But after all dragon idea won. WIP version had very playfull and well-posed arms but it had many holes. In final version additional armour improve this but arms are no longer well-posing. Based on this picture they look very much yellow rather than green... but I don't know why Lego would send that to you, so I guess it must be the lighting. Looking at this group shot, I have a feeling that it is just the lighting in some shots and the Stone masks are still using trans-neon-green. Great job. 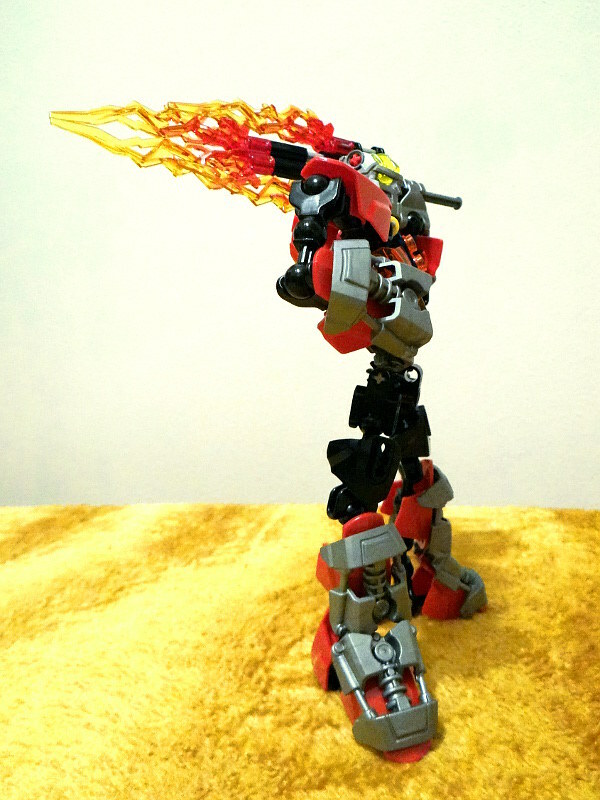 That is incredible what can be build using pieces from so small sets. I love that turtle, and the rest of them; fantastic job. Amazing. These mocs are astoundingly good. Love the dragon and the ice beast best, but the heroes and the dark lord are also fantastic! 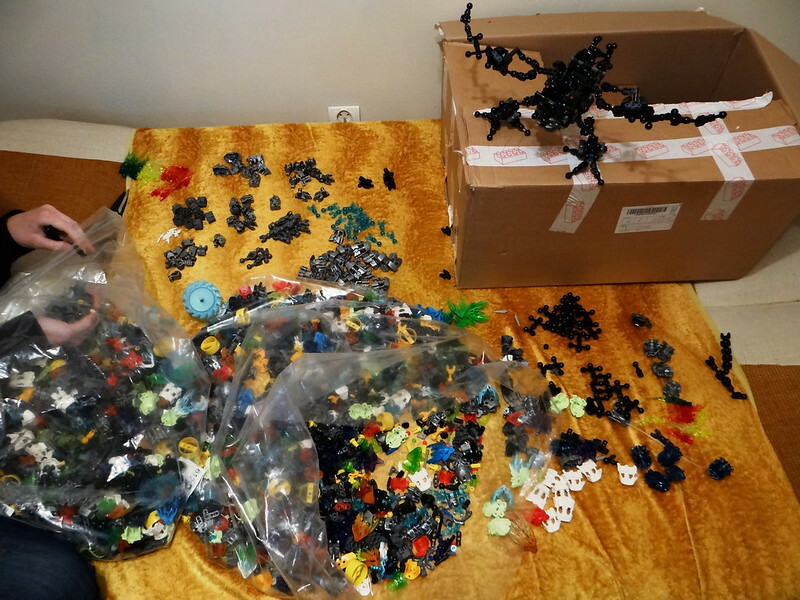 I'm drolling over that pile of pieces...... 50 kilos? Don't forget to turn on titles! You just may be right. 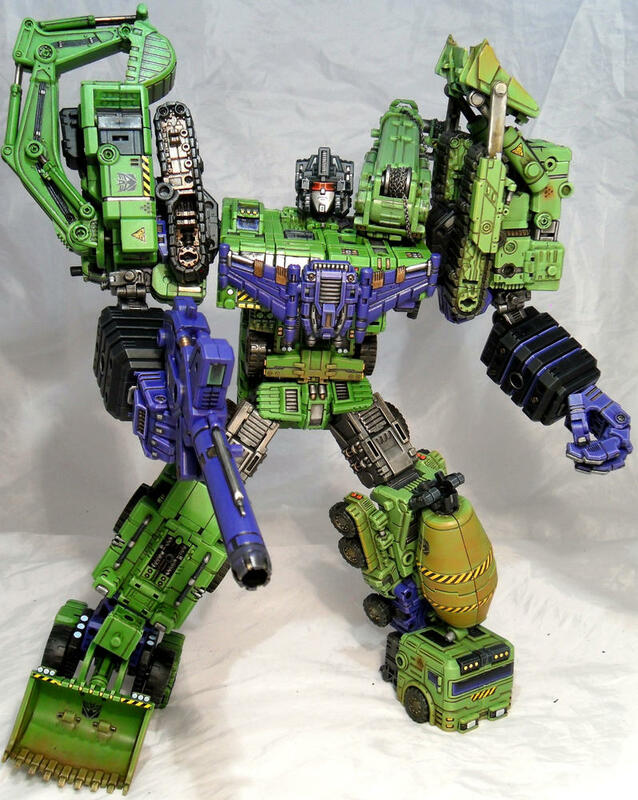 Nonetheless I preffer more yellow than trans-green for Hero of Stone colour scheme. Thanks :) That's true, but the only problem is you need a whole bunch of them! 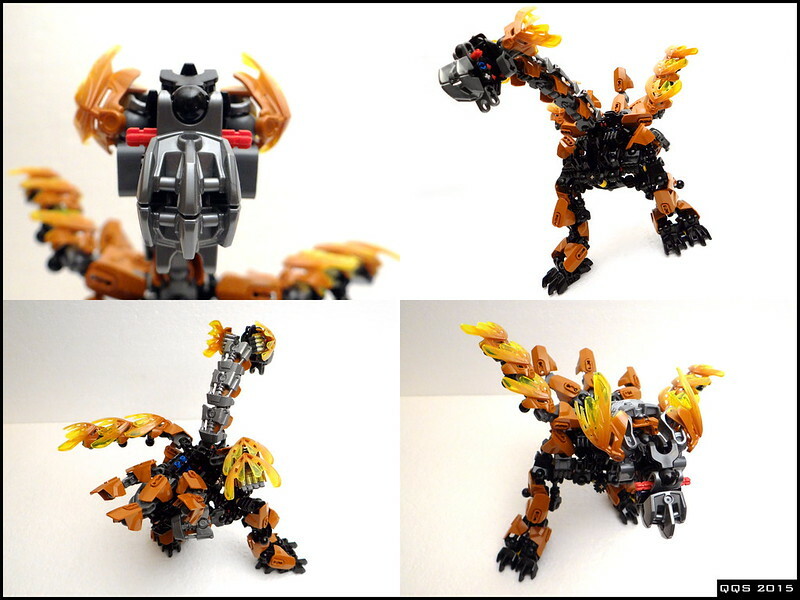 Just wondering; have you ever thought about getting the pieces to re-make some of these MOCs? Maybe not the ones as massive as the dragon, but your Hero figures? 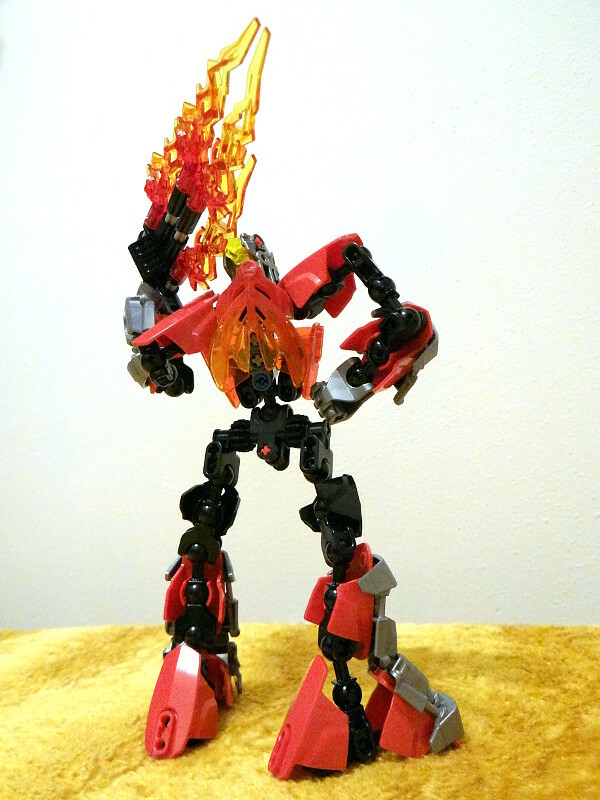 Well, I bought new Tahu week ago and I'd like to use some patents from "Bionicle 2015 Project" to make him better. You see, in project I got many bricks but in all they were not very varied - this is why I had to make some simplifications. 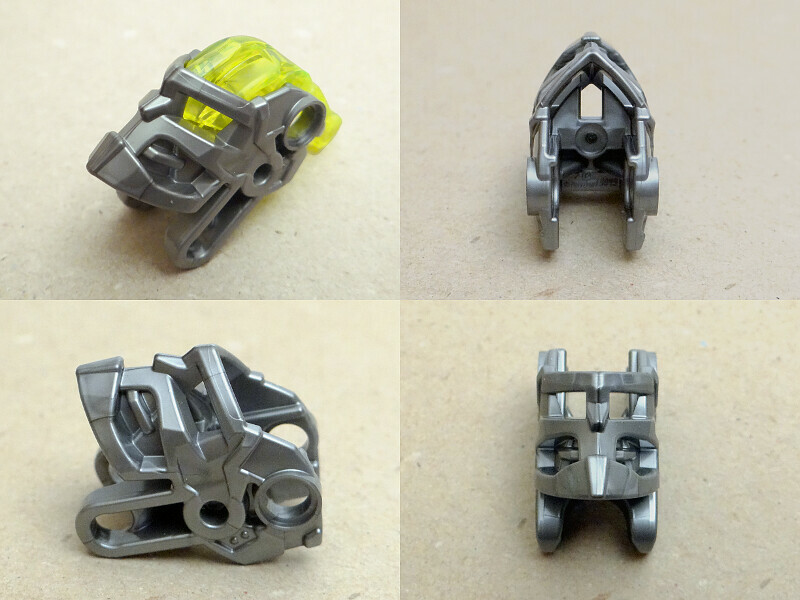 But now, when the project is finished - I can use some parts from older Bionicle Theme + some LEGO system parts which make additional possibilities. Maybe some of you will be interested in this - at the end of December 2014 LEGO phoned me thanking for my MOCs and kindly asking what Lego's serie I like the most because they would like to send me a gift. 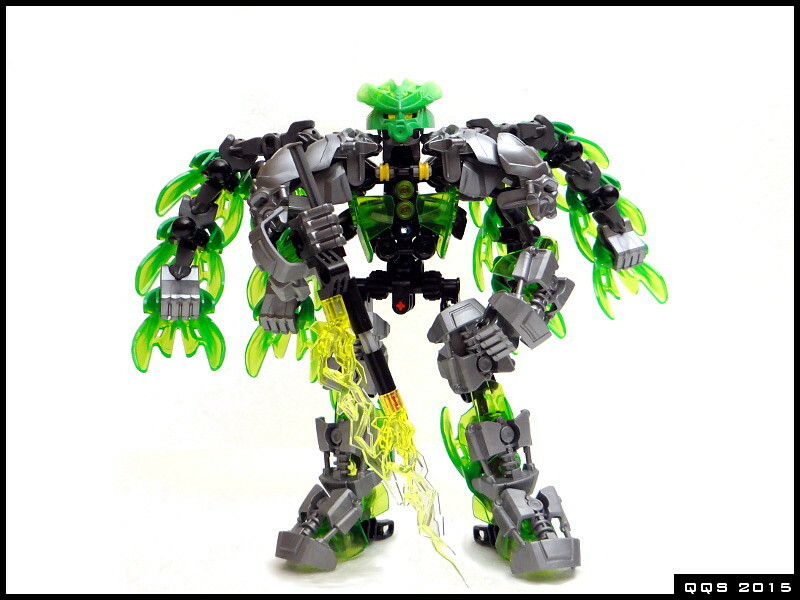 The reason why I chose Technic was I already had some plans with it (and in some way related to action figures ofc.) but I needed some extra parts. 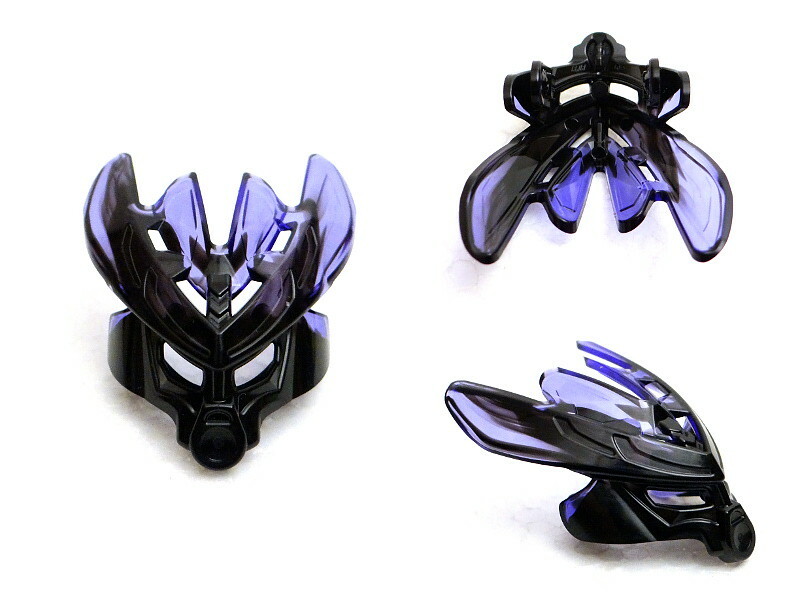 It would be nice to get some extra bionicle parts (e.g. 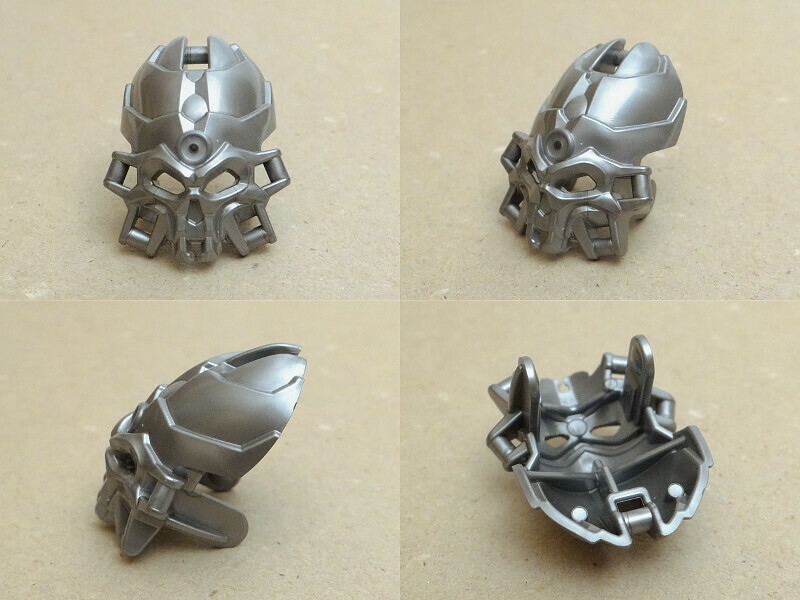 for armour) but Lego told me they already had some plans related with those pieces (events etc.). 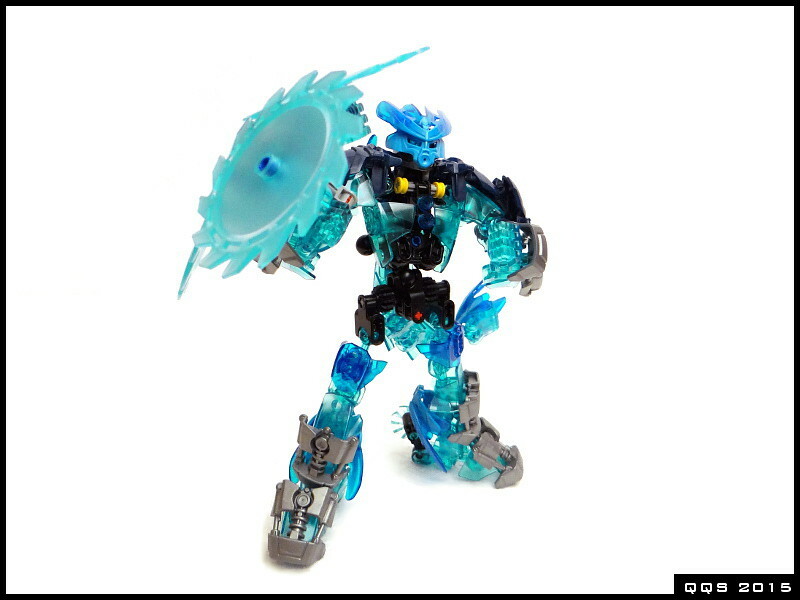 I think that Technic is good serie someway related to original Bionicle theme (remember first line of Toa) which may help me to improve some of my Bionicle MOCs. 42006 Excavator. I like this model a lot (I've already had one Excavator for 2 years so it's my second set) and for me it's very good choice. I hope LEGO would make similar project in future.